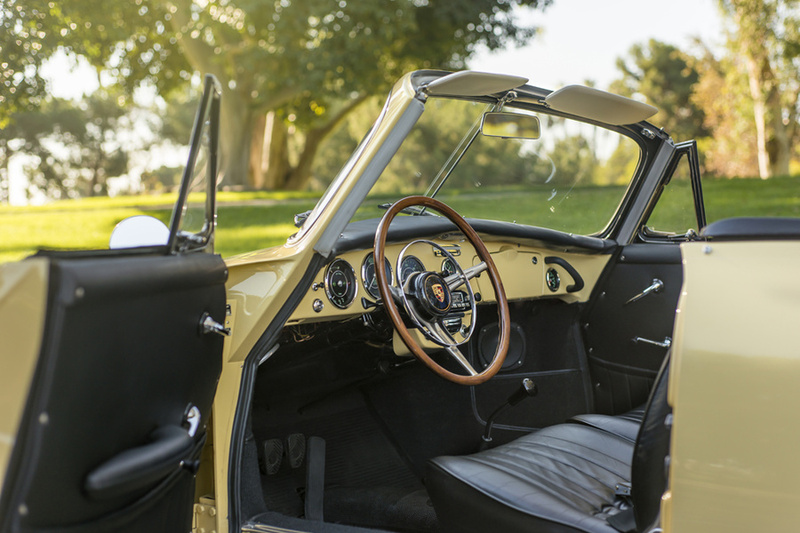 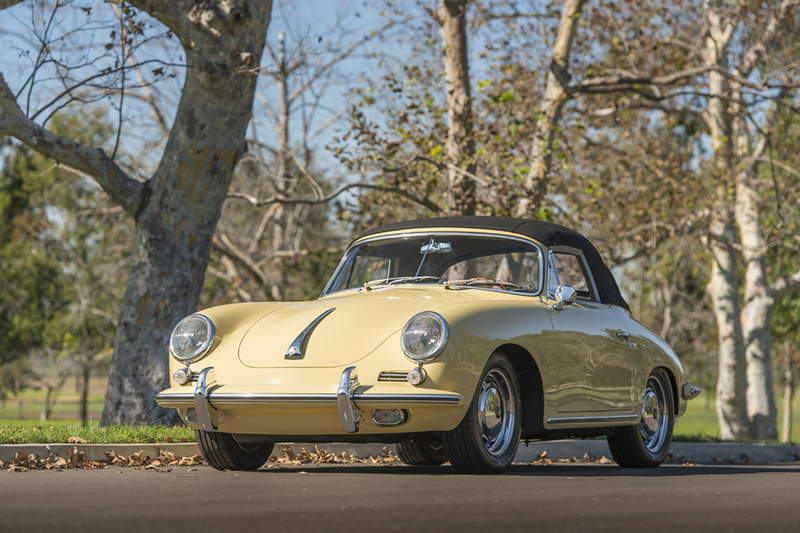 We have for sale a limited production 1964 Reutter SC Cabriolet, restored by 356 Specialist Liberty Motorsports in Costa Mesa, California in 2013. 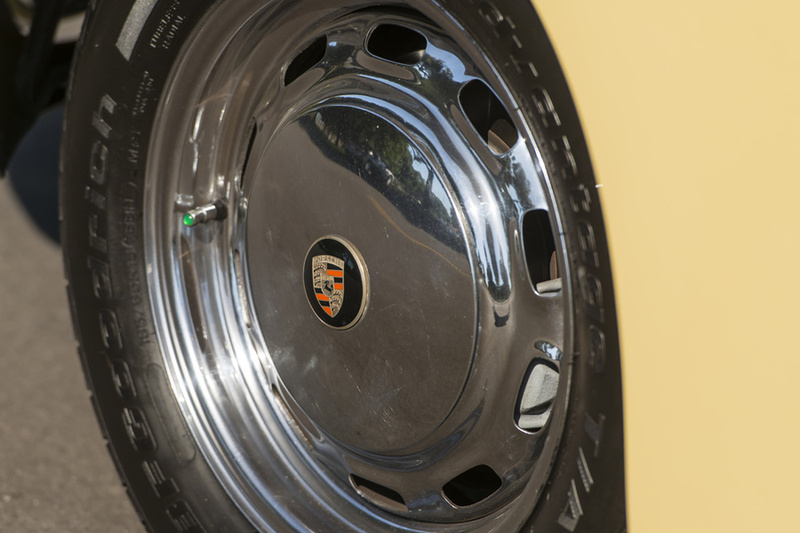 This was 1 of 917 SC Cabs built in 1964 making this car a very desirable model/year. 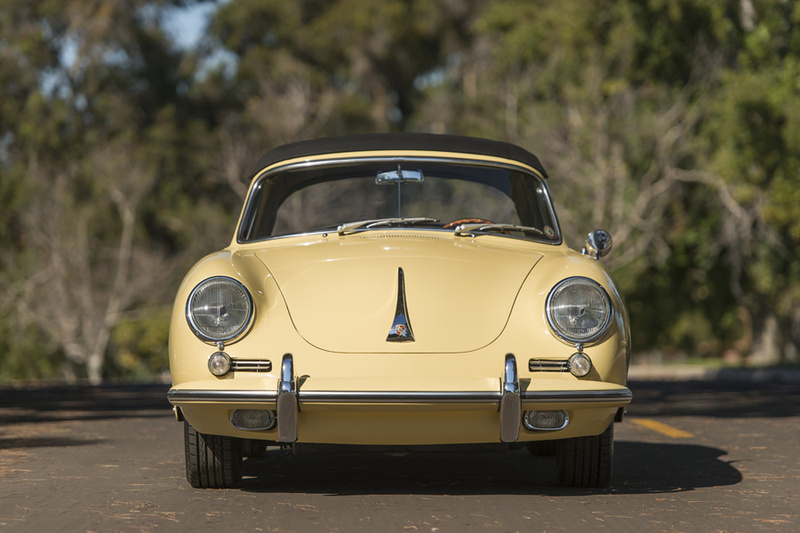 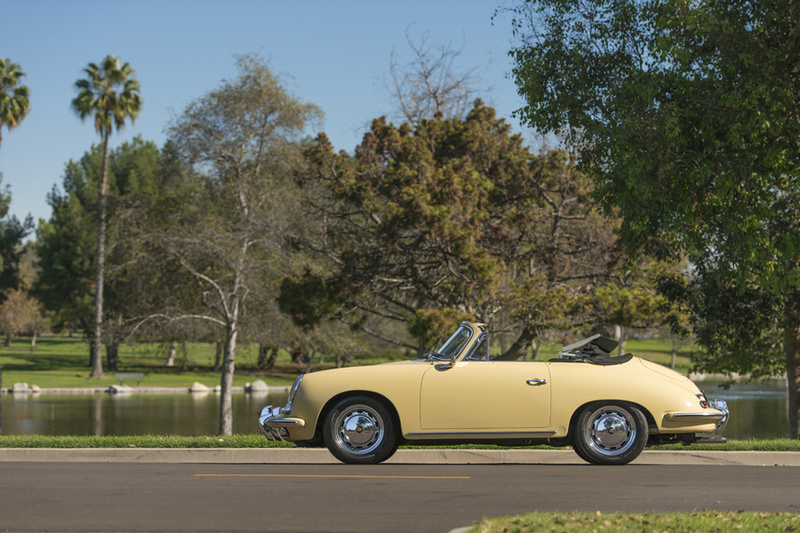 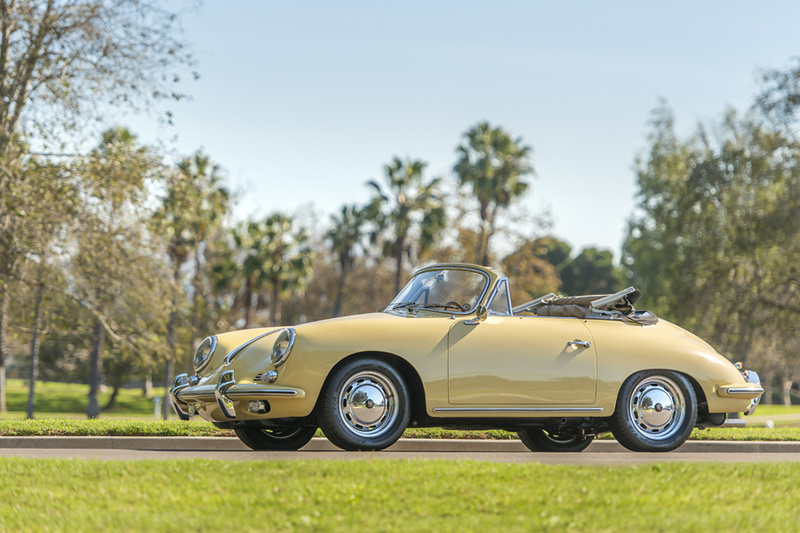 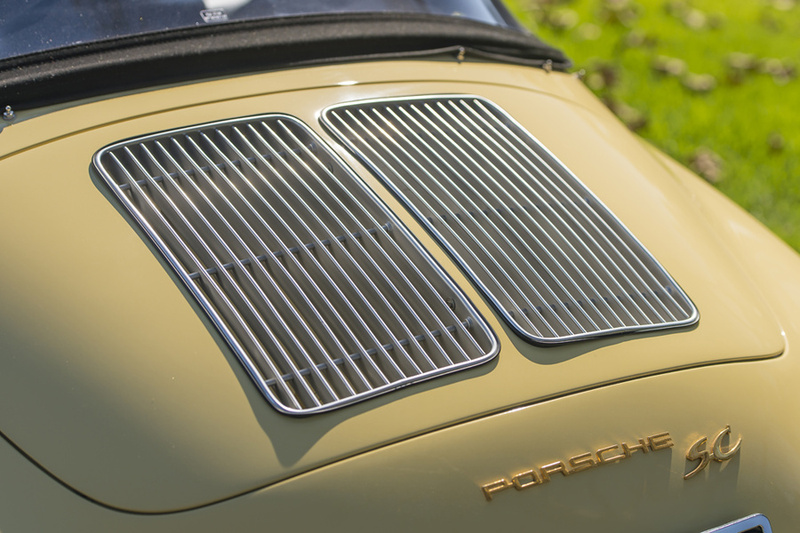 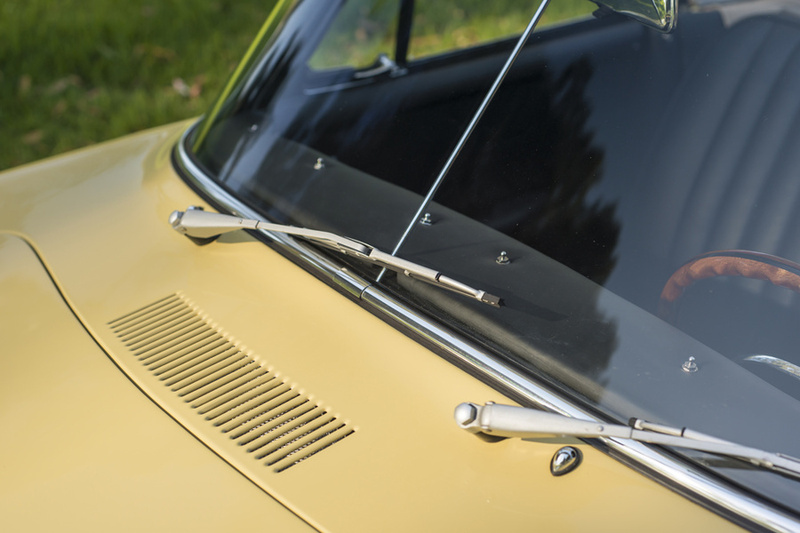 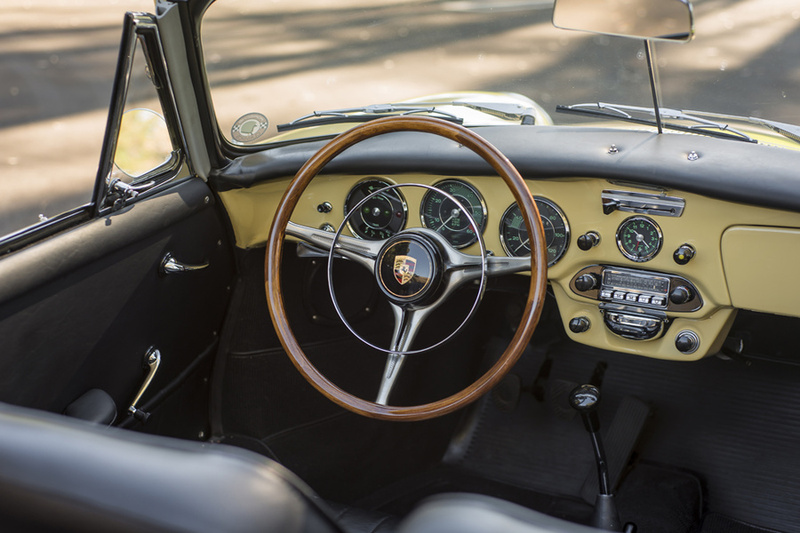 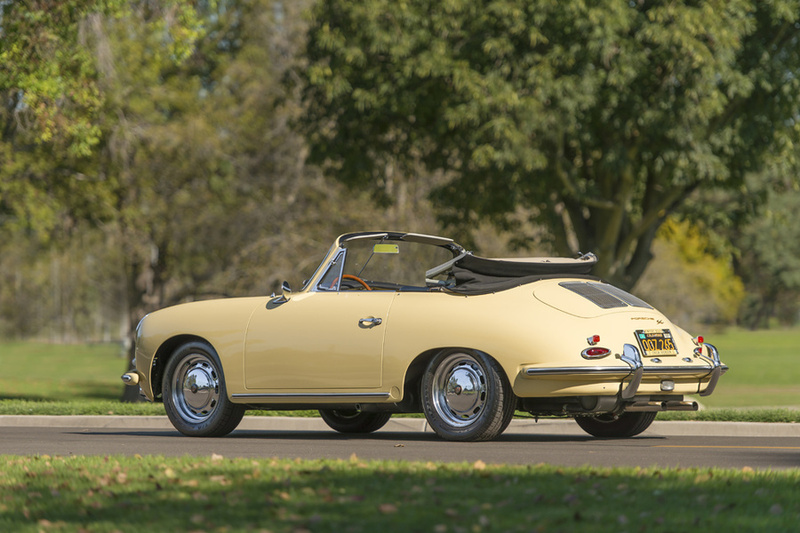 Porsche only built the C-series for one more year and ended production of the 356 in 1965. 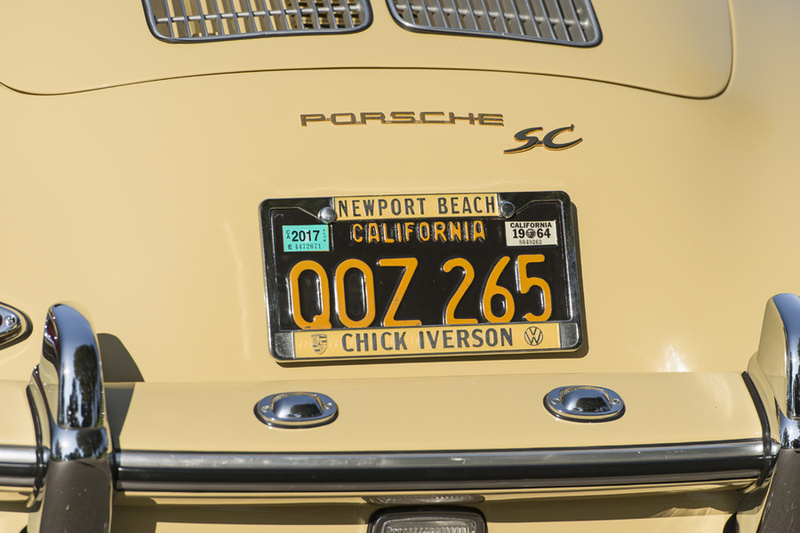 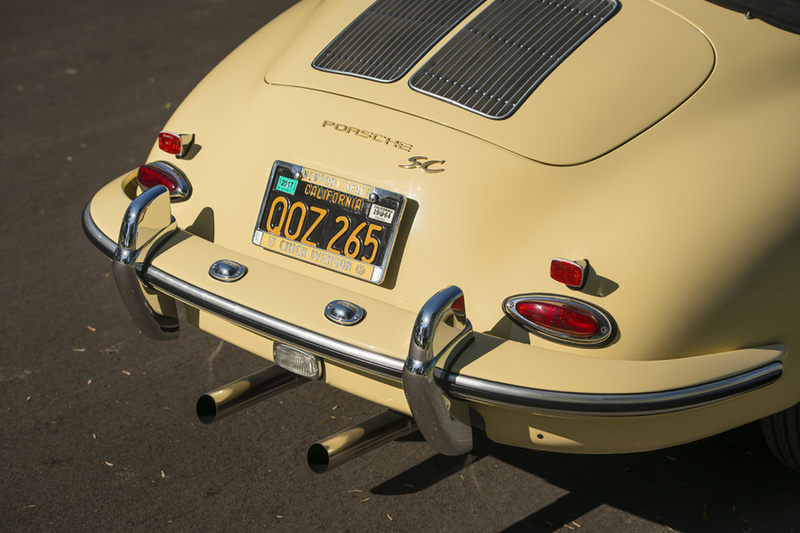 This car is matching numbers and was restored to the original factory specifications using the Porsche Certificate of Authenticity. 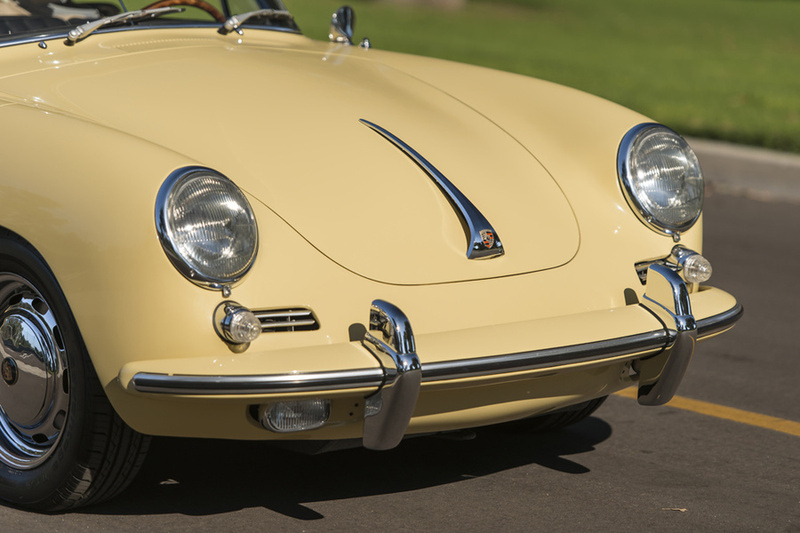 The restoration was done by Jim Liberty Motorsports, a one man shop specializing in 356 restorations. 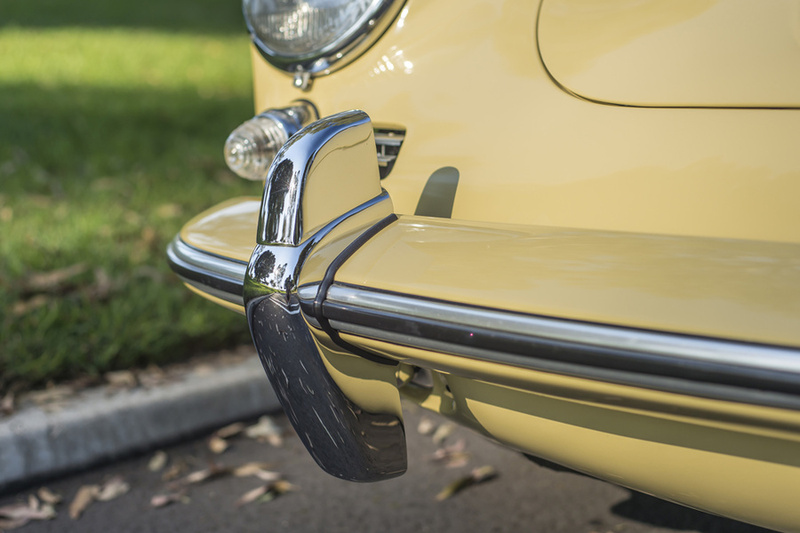 He is known to work on one car at a time, giving each restoration the attention it deserves and making sure no detail is overlooked. 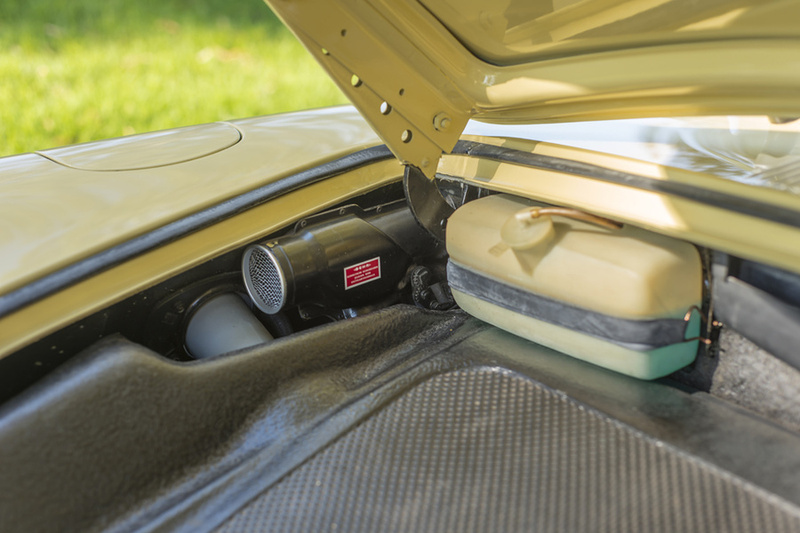 Liberty Motorsports is as obsessed with details and originality as we are and we can proudly stand behind his work. 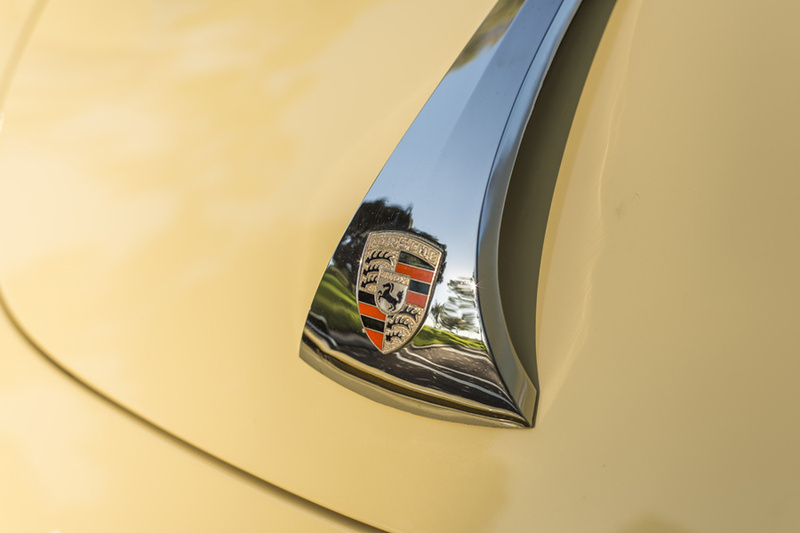 A Concourse level restoration was performed including a bare metal, glass out repaint of the original Champagne Yellow color, which looks fantastic. 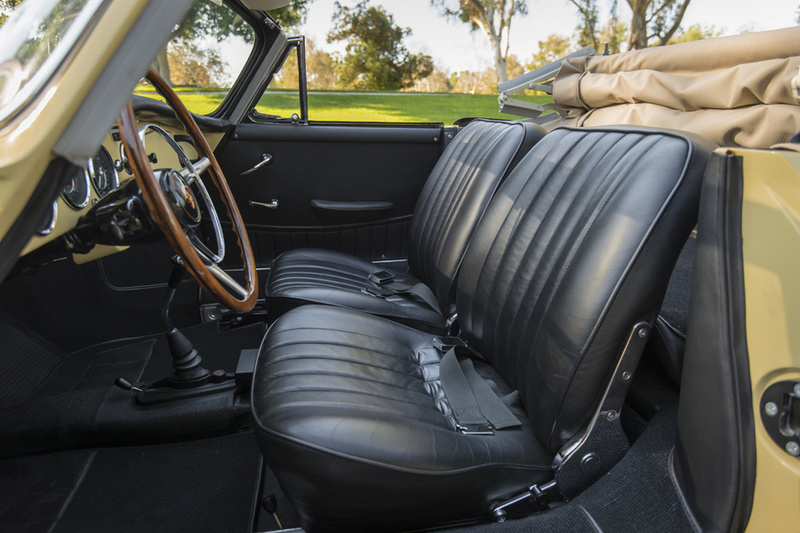 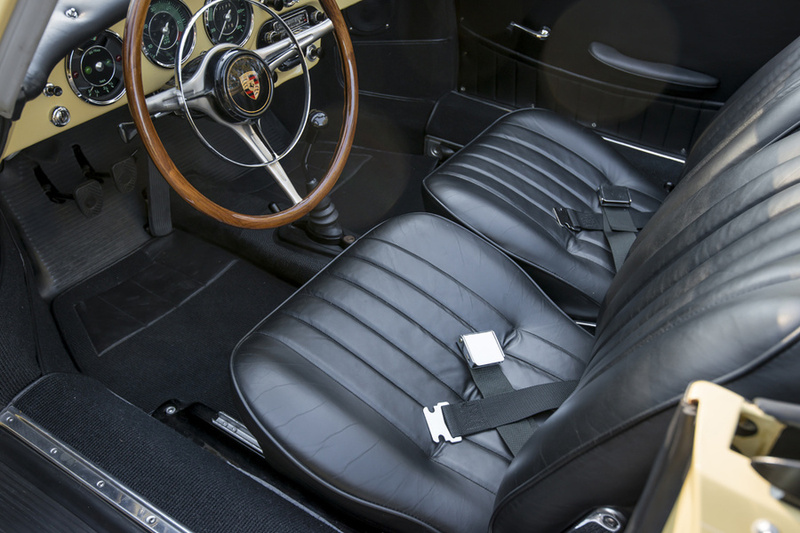 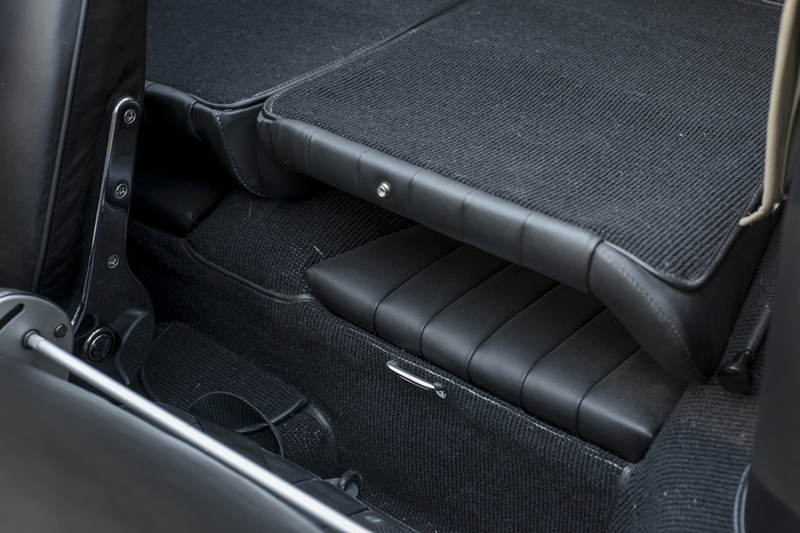 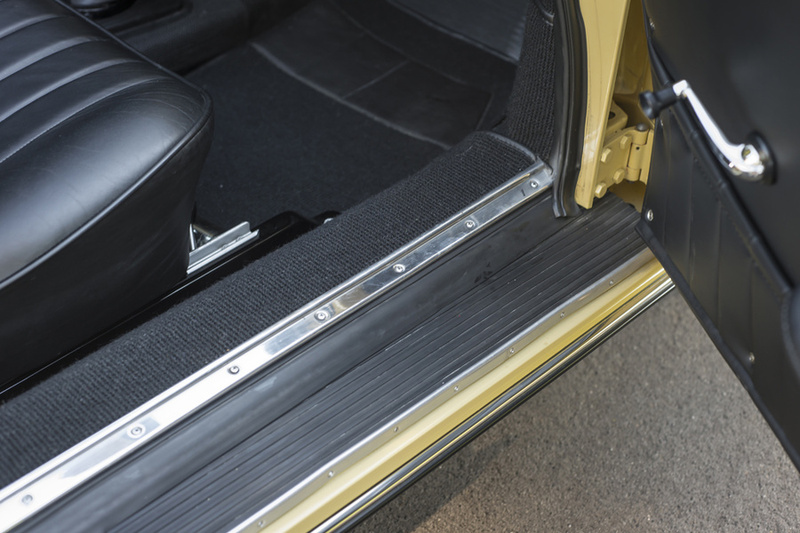 Per the COA, the interior is finished with Black Leather, including custom stitched seats/door panels and German wool square weave carpets with matching front floor mats. 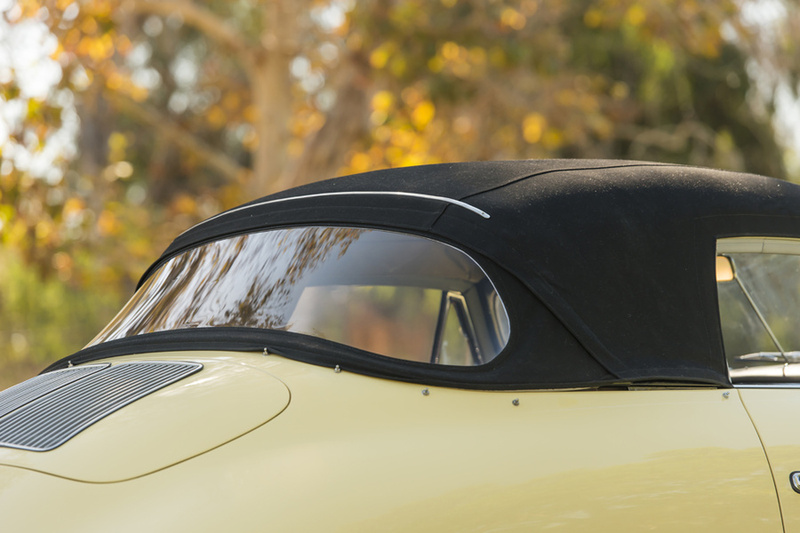 A beautiful Hartz top was installed with matching boot and split full tonneau. 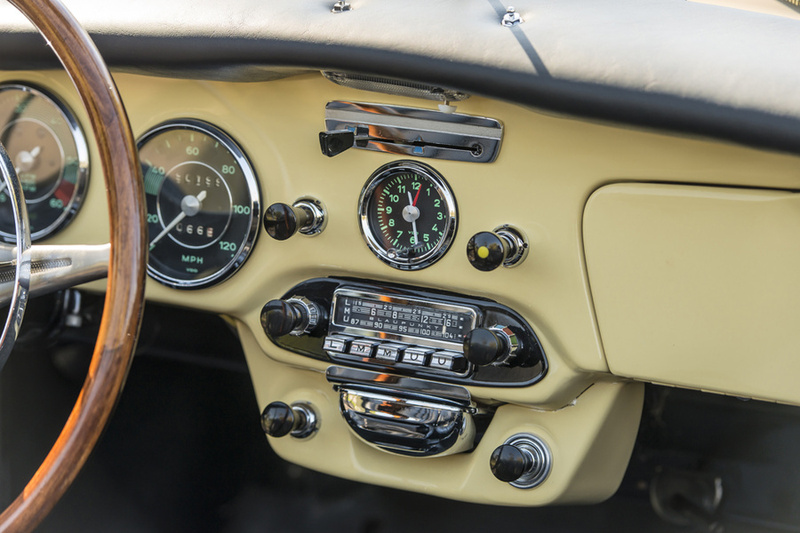 A period correct dash mounted outside temperature gauge was installed along with Blaupunkt deluxe radio, clock with sweep second hand, wood steering wheel with chrome horn ring and fog lights actuated with correct yellow pilot light switch. 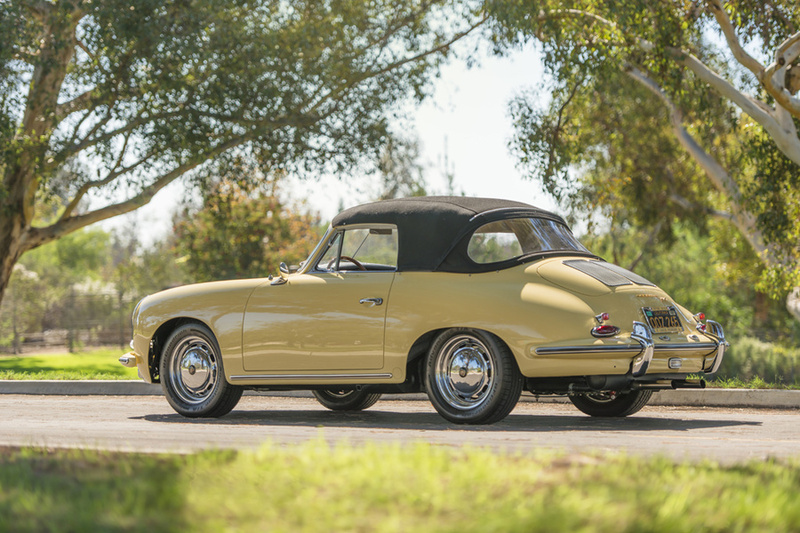 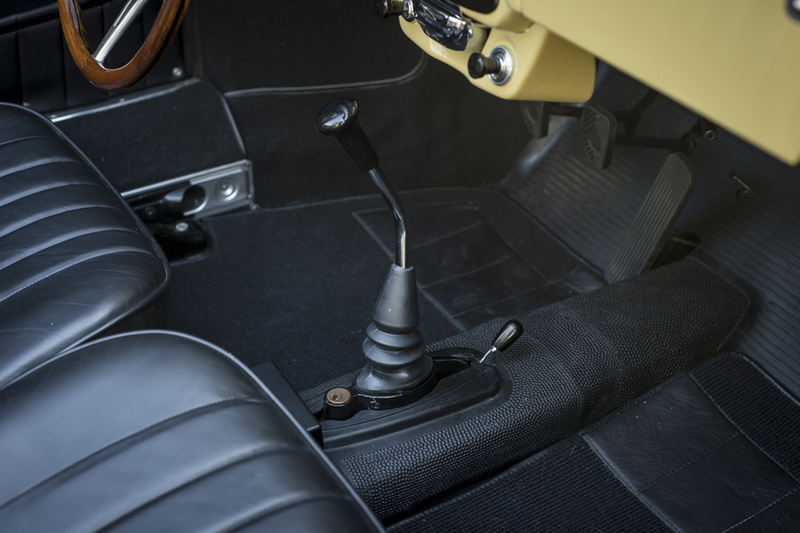 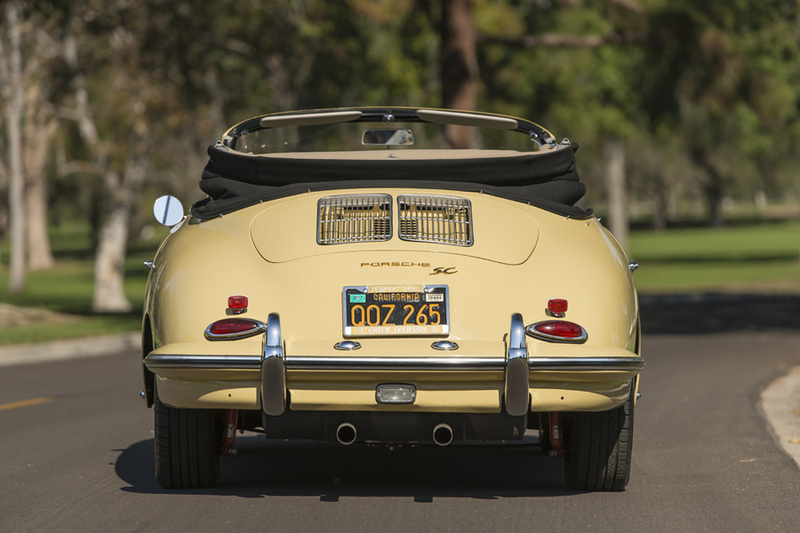 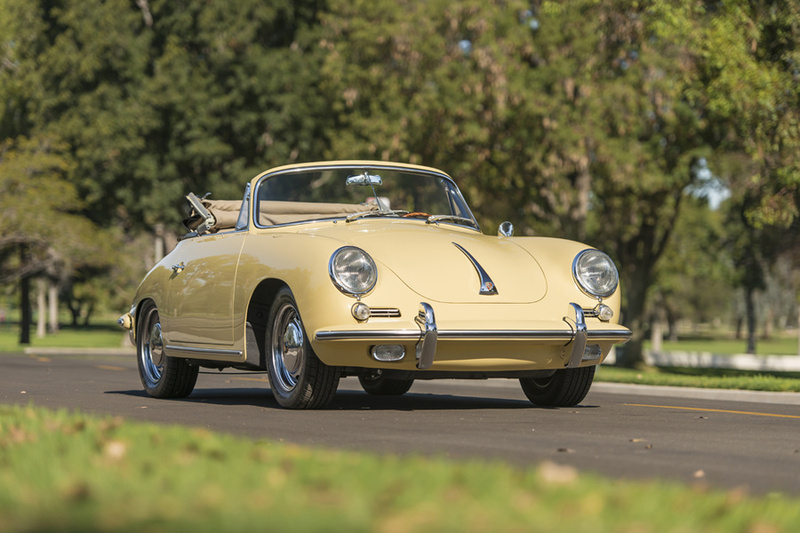 The desirable 1600 SC engine originally rated at 95hp is numbers matching, rebuilt with Carrello rods, Shasta pistons and cylinders and “Hot Street” cam, giving the car a very distinct 356 thrum. 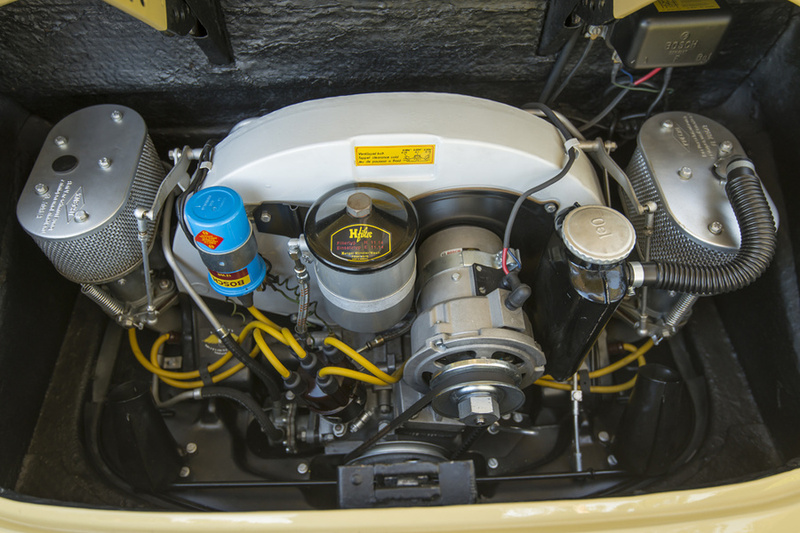 All engine tin was powder coated and hardware and fuel lines plated. 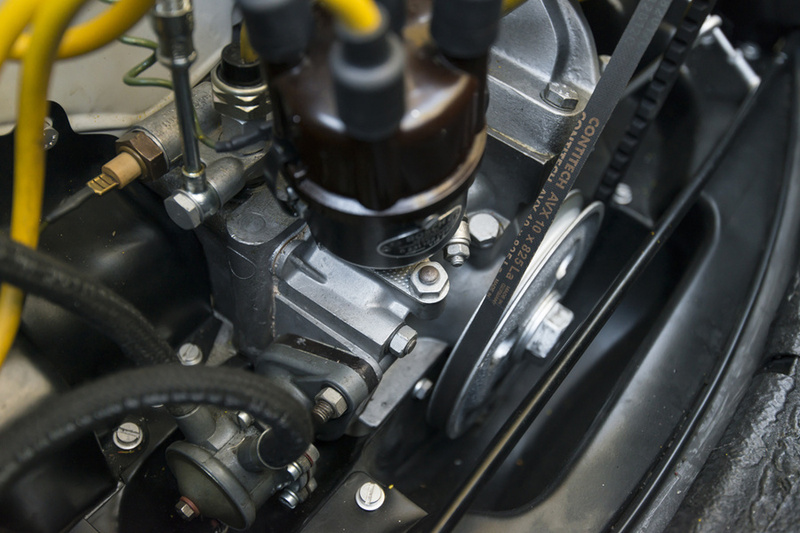 Period correct Solex Carburetors finish the engine bay with a rebuilt Bosch distributor by Carburetor Rescue of Sedona, AZ. 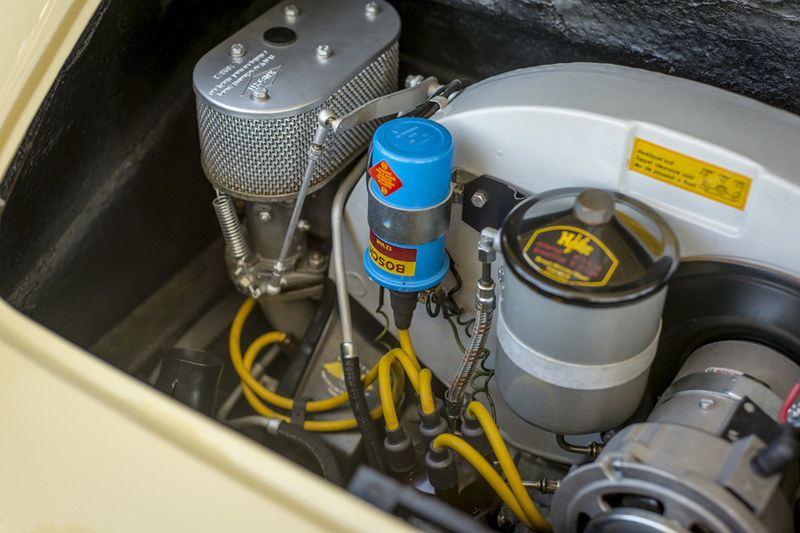 The fuel pump was rebuilt in house along with auxiliary “priming” under passenger kick panel, actuated by correct dash mounted switch. 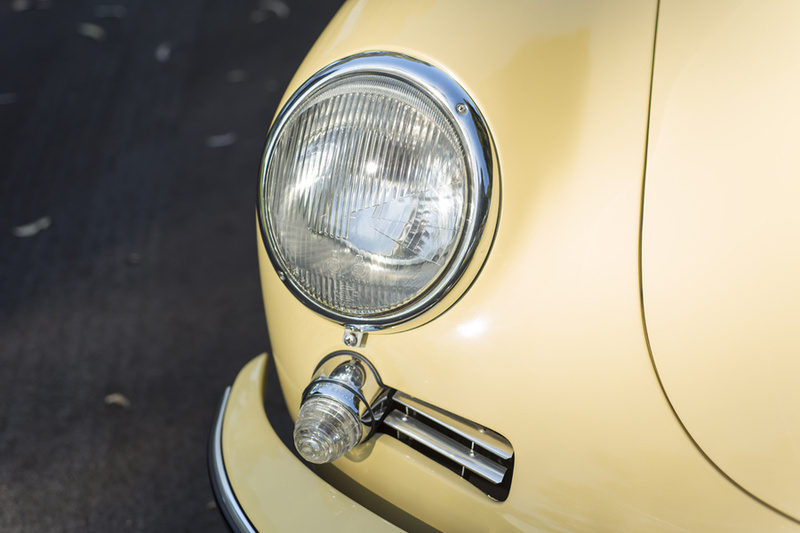 The suspension was completely rebuilt using high quality parts and refinished in black semi-gloss paint. 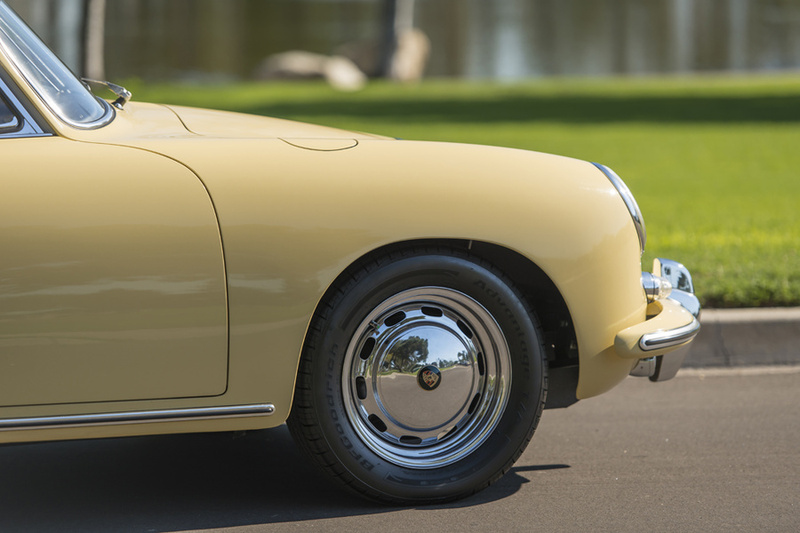 Soft brake lines were replaced and the brake calipers were rebuilt with new pads. 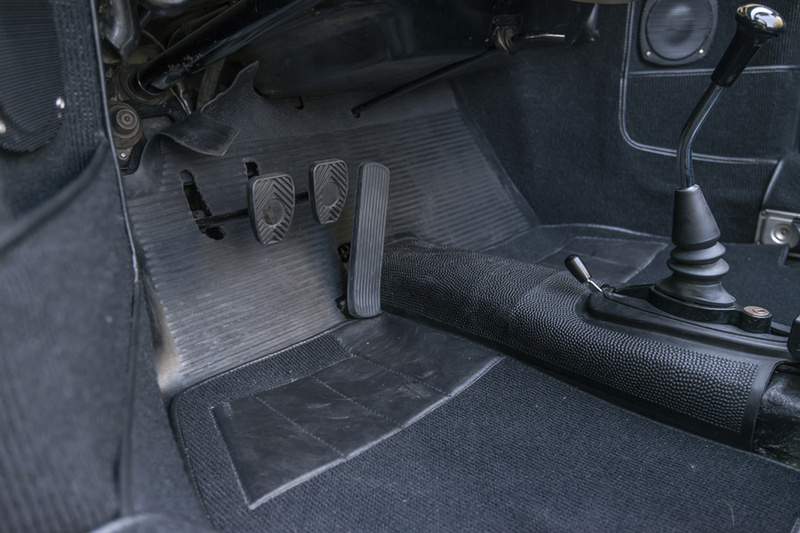 Throughout the whole car all bushings were replaced and new Koni shock absorbers were installed. 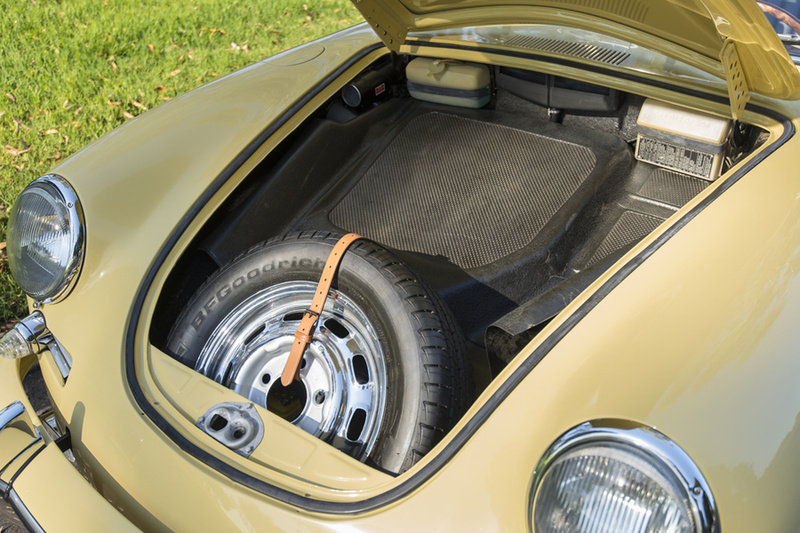 The underside sheet metal of the car was re-coated with Würth Schutz for future rust protection. 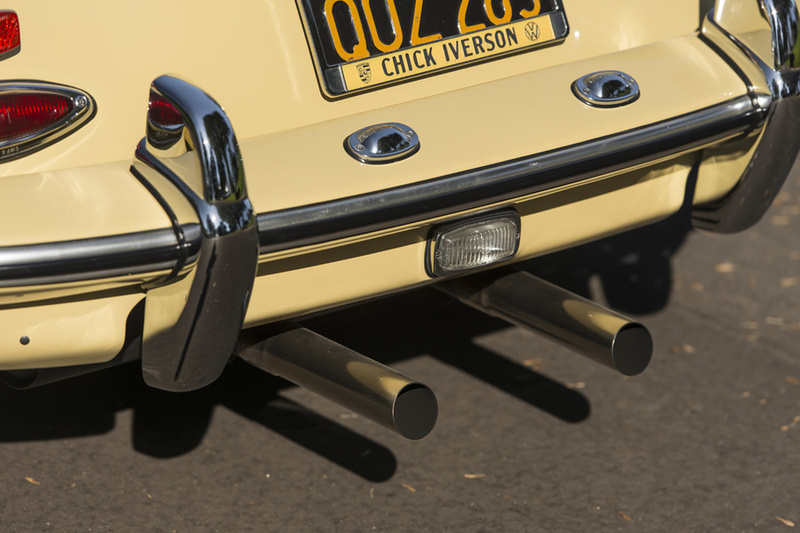 A sport exhaust with SS tips was installed as well. 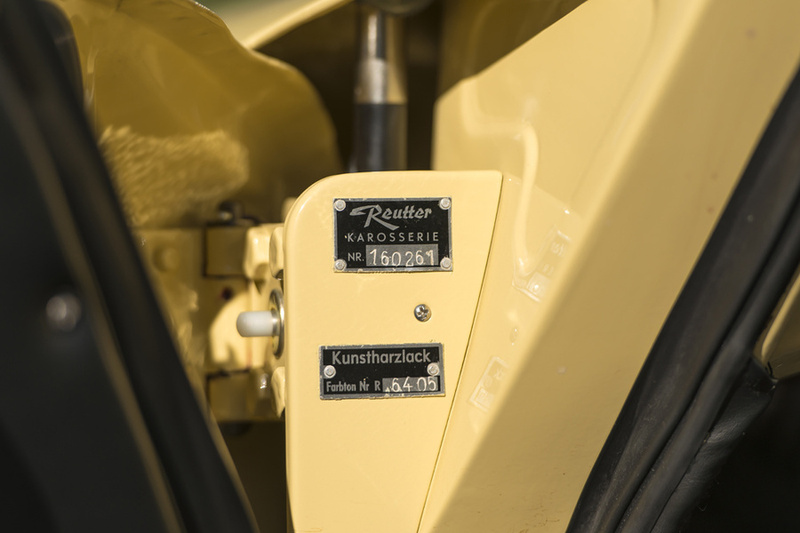 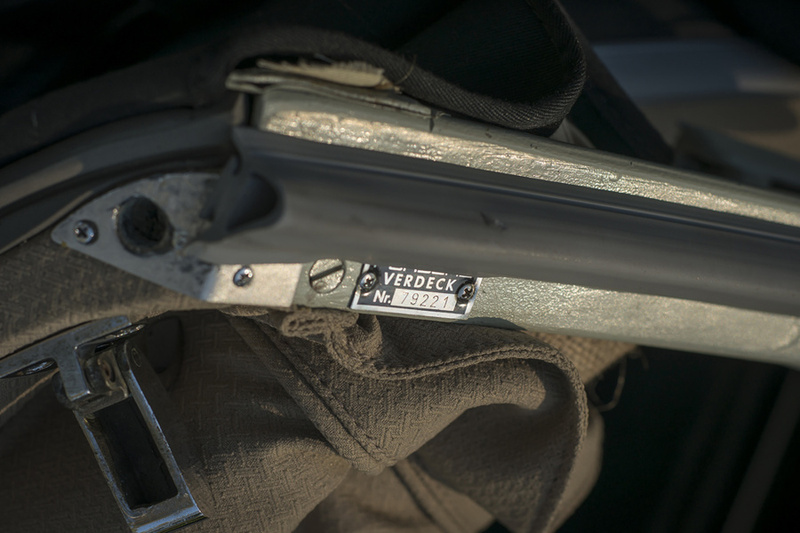 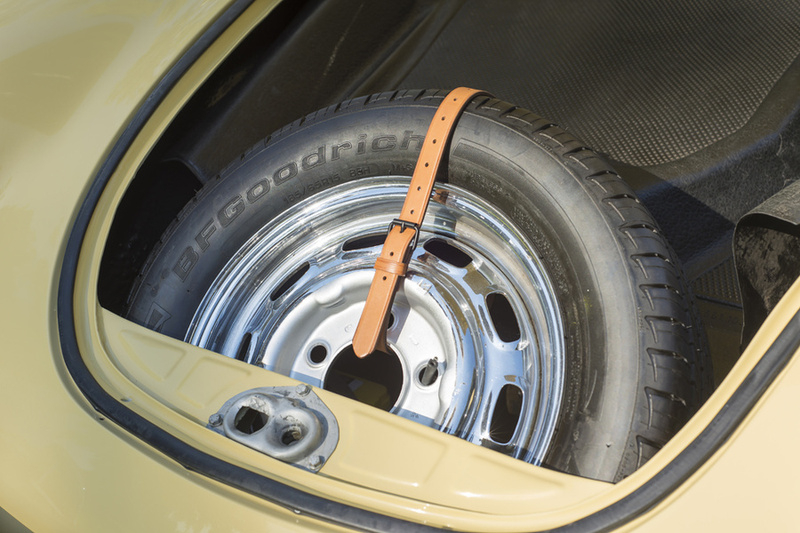 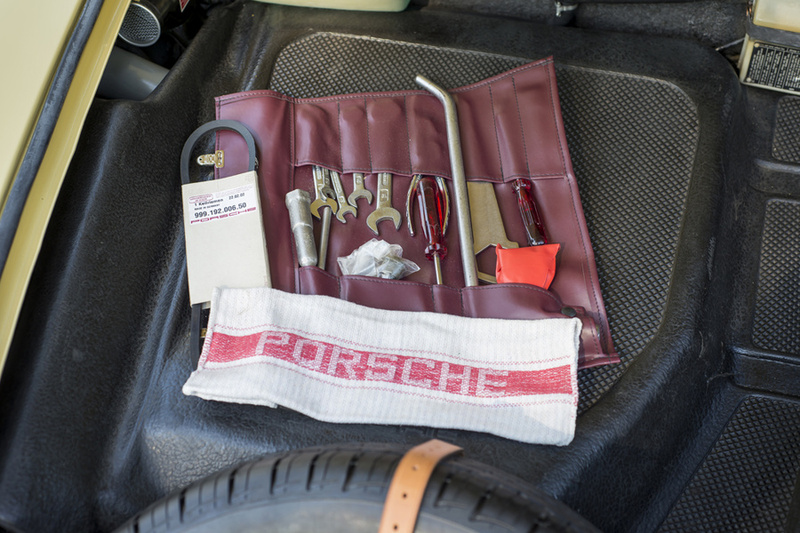 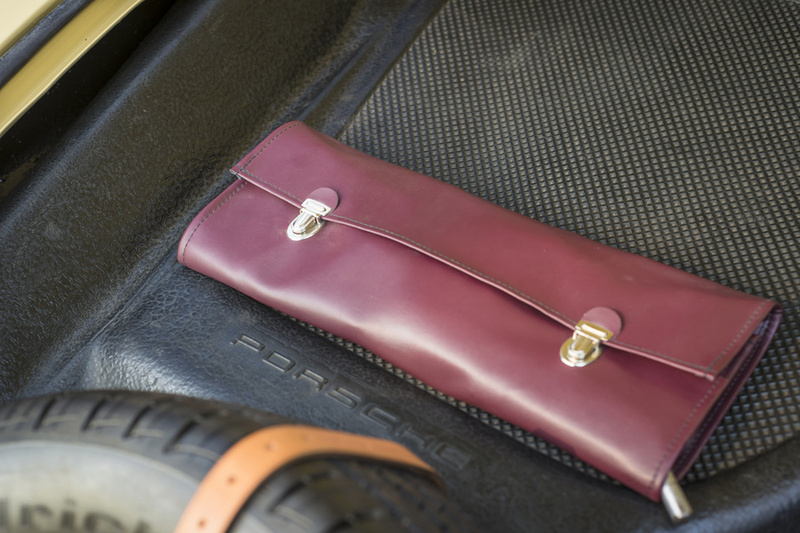 The trunk includes a matching spare with jack, tools and owners manual. 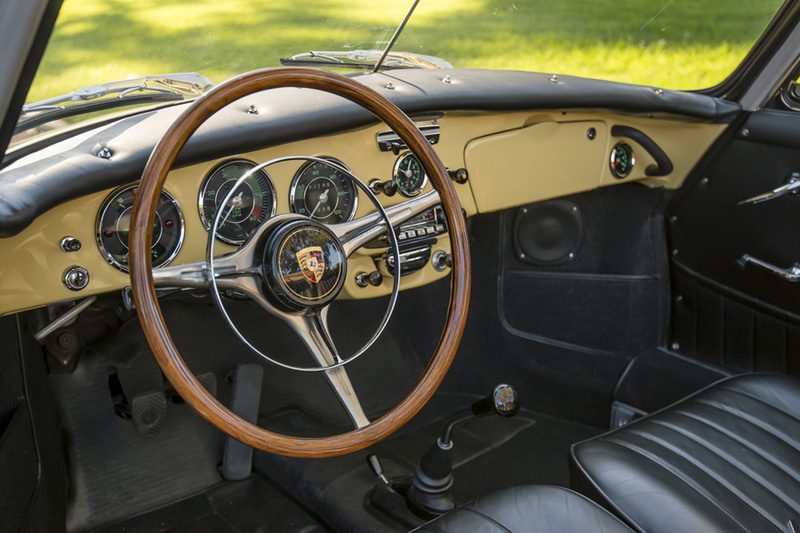 Only a few hundred miles have been added since the restoration and it is ready to be driven and enjoyed!